It has been a big year for me: published my first book; helped published a second book (and wrote a chapter for it); and commenced at QUT Law School. And I never stop learning! In my book, Designer Law School: Legal lessons for design entrepreneurs, I dedicate an entire chapter to understanding intellectual property (Lesson 6). Below is an adapted excerpt of this chapter as IP is one of the most misunderstood business assets. The intellectual property (IP) issue is particularly important to our work as designers. However, understanding the area is both simple and complex: simple in that there is so much information available on the subject (The IP Australia website is an excellent start); and complex because of the difficulty in understanding the difference between the different classes within IP, and the difference between IP, trade marks, and copyright. The following section, presented from my position as a designer working in the brand space, provides you with the necessary general information on the subject. As already emphasised, however, each case is different, and it is critical that you seek legal advice from a specialist IP lawyer. Prior to registration, you will also need to talk to your accountant (and your clients) to determine which entity will own the trade mark. The most common type of IP issue you are likely to come across is the registration of your organisation’s brand identity or logo, or your clients’ brand identities or logos. When you develop a logo, it is trade marked; however, registration is its best protection. There are important details that need to be thought about and discussed with your advisors before you rush into designing a logo. It is also important to discuss and think about the short- and long-term plans for a brand before you design a logo as these plans affect the design process as well as the lodgement and other fees. For example, each lodgement in a different IP class is an additional fee. The trade mark confirmation process is a lengthy one so it is important to think practically and only register in classes that you truly think you will operate in the near future. The same goes for the choice of countries where you wish to protect a logo as registration in each country, and maintaining that registration there, is expensive. At the initial meeting/s with your client, you need to ask questions about their business and legal structure as this will have consequences for both the registration timing and cost. It will also have consequences for the way in which the trade mark is considered; in other words, what trade mark product and service classes are best suited to their current and future business? It is also worth knowing early on who is going to be responsible for the trade mark process; for example, your client’s in-house legal counsel, or an external lawyer? Work with this legal representative as soon as possible in the pre-naming and pre-design stages of logo development (that is, the name style and symbol) that will form the trade mark. This will save a lot of future heartache for your client—and you! A client also needs to understand that while the process of registering the trade mark is not a straightforward one, but it is an important part of the process of ensuring the value of their brand identity. Failure to register a brand identity/logo can delay the sale of a business. On several occasions, I have witnessed a client in too much of a rush to apply and wait for their trade mark registration; they have either not bothered to register or have had their trade mark rejected when they did. This can result in delays in the process of the sale because the new owner wants to have the security of a registered trade mark. A client often expects to own everything you do on their project—from initial sketches to digital files. They are often mistaken in thinking that they own the work outright because they have paid for it to be done. This is not the case. If you want to retain any IP in your work (personally, for example, I ensure that I own all the concepts right up to the final design), you will need to discuss this with your client. Client relationships can be ruined as the result of misunderstandings over IP ownership. I have witnessed this first hand. Before commencing a project, you need to know what the client’s intention for your work is, and ensure that your project expectations and scope aligns with the client’s requirements with respect to IP. If you have discussed a certain requirement—for example, that you own all the concepts leading up to the approved final design—ensure that this agreement is included in the contract. If you have spoken about a specific inclusion but it is not included, hand-write it into the documentation, and sign this addition. If you decide to transfer your copyright to a client, be clear about what you are transferring, and make sure that you will be happy with that decision in both the short- and long- term. If the paperwork for the transfer is provided by your client, you will need to have it checked. If you provide the paperwork—which I suggest you do—it is worthwhile creating a standard form for this purpose. Ensure that this form is prepared by an IP lawyer (especially if the matter or project is a complicated one) and that it is reviewed on a regular basis. Having standard documentation means that you will be able to adjust and include specific items if, and as needed. Factor the cost of a project’s legal IP work into your fee structure. Excerpt from Designer Law School: Legal lessons for design entrepreneurs. First published by Brand Audits Pty Ltd a Trustee for Red Discretionary Trust ABN 26 515 247 341 Australia. Copyright © Christine Jane Moody 2016. All rights reserved, No part of this publication may be reproduced, stored in a retrieval system, or transmitted in any form or by any means, electronic, mechanical, photocopying, recording or otherwise, without the prior written permission of the publisher. Review on Amazon.com by Dorie Clark, author of Stand Out and Reinventing You, and adjuct professor, Duke University’s Fuqua School of Business. Christine Moody is one of Australia’s leading brand strategists. She is the founder of brand management consultancy, Brand Audits, and several successful start-up companies. Designer Law School is her latest venture. This book is a cautionary tale for all designers, entrepreneurs, managers, and educators. With the wit and wisdom born of long experience (and some pretty hard knocks along the way), Christine encourages her fellow designers (and all designers, creatives, and entrepreneurs, for that matter) to respect and understand the legal issues that affect their daily business. In a series of practical ‘lessons’ full of ‘good-to-know’ tips and topics, the book alerts others to the risks of ‘doing business’ without a keen eye on the possible legal pitfalls along the way. At the same time, Christine engages the reader through her obvious care and concern for their challenges, and encases her ‘lessons’ in the motivational framework of her personal struggle for justice and survival. *Christine Moody is one of Australia’s leading brand strategists and the founder brand management consultancy, Brand Audits. With more than 30 years’ professional experience, Christine has helped a diverse client base of local and international brands, including Gold Coast City Council, Hilton Hotels and Wrigleys USA, to develop, protect and achieve brand differentiation. Her particular interest is personal brand audits to assist executives realise their full potential. She is also an author and a law student. Entrepreneurship has fascinated me both pre-and post- my Master’s research thesis. I read extensively and operate in the entrepreneurial space and never tire of the topic. When I started, 35+ years ago, I don’t think we even had a name for it. What I couldn’t understand and fully appreciate was that entrepreneurship is a job! Recently I reread journal articles by William Aulet, who is the managing director of the Martin Trust Center for MIT Entrepreneurship and also a senior lecturer at the MIT Sloan School of Management, where he teaches entrepreneurship. I have seen first hand the calibre and innovative ideas of the MIT researchers and students, when I visited and toured the campus with a good friend, Stephanie Rowe (Stanford University d.school alumni; winner of MassChallenge Winner; and Founder and CEO of Start-up Joulez). Aulet’s articles reminded me that having an idea alone does not make you an entrepreneur. He states that while the idea is necessary, “…it is so much less important than the discipline and process with which the idea pursued”. This prompted me to examine and review all my “great” ideas and start-ups with a different set of lenses. On examination I realise the ideas are good, the execution is okay but the missing link is the existence of a quality founding team alongside me. According to Aulet, this is important because, “…the original idea morphs and evolves over time as the team does primary market research and starts to focus on customer needs, rather than their initial eureka moment”. In other words…Reality! …the original idea morphs and evolves over time as the team does primary market research and starts to focus on customer needs, rather than their initial eureka moment. Coming up with great ideas is easy for entrepreneurs as we see gaps in the marketplace or want to make something better than what is currently available. What some of us lack is discipline as well as the experience and the knowledge to see the product or service through to launch and sustaining growth. It is the discipline to keep going, keep passionate, keep motivated, and keep focused on what is to be achieved, that is really needed. It may be fun in the beginning—coming up with new ideas is truly good fun!—but it is hard work to execute the idea. It is not about having all the skills, but working collaboratively with co-founders who each possess the skills that complement your’s—business, IT, sales et al. Where start-ups need someone with a great idea to get started, the idea can often morph into another idea, especially when the prototype is presented to potential customers. Additionally, an idea is only sustainable if there is a market—and buying customers—if the business is to survive. I am setting out now with a couple of ideas, to build my founding team, and to create a business that is built on a good idea but also has the discipline to survive the tough world it must live in! Thanks for the reminder William Aulet. 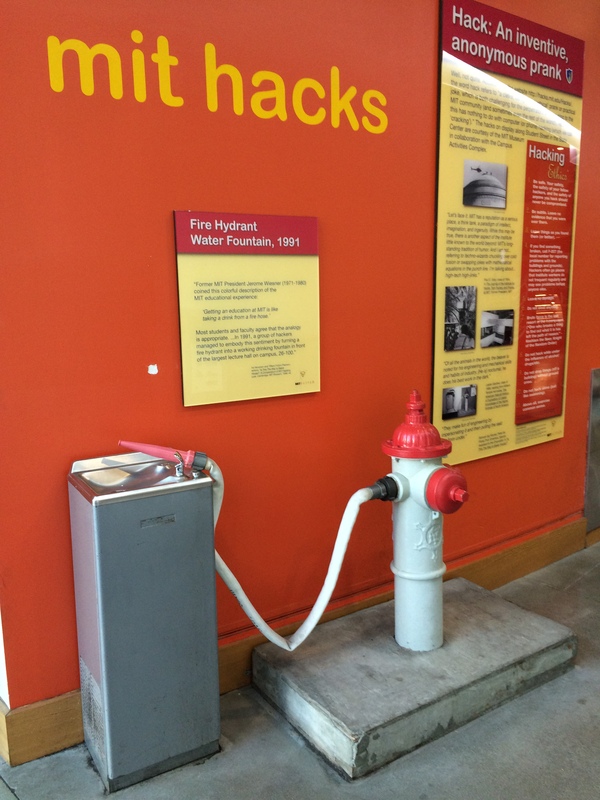 Photo credit: One of the most memorable MIT moments was seeing the Fire Hose Water Fountain that was inspired by Former MIT President [’71-’80] Jerome Weisner’s often quoted description of the MIT educational experience was: “Getting an Education from MIT is like taking a drink from a Fire Hose.” MIT Fire Hose Water Fountain x Christine Moody 2015. So many of us in small business are great at big ideas, at inspiring others and creating a kick arse product. And yet the same businesses can crash and burn because we’re clueless when it comes to the legal bits. Written for designers but applicable to all of us in small business, Christine Moody’s book Designer Law School is a must read. From an extensive wealth of knowledge and personal experience she has brought the very best of herself and injected it into a book that is bold, clear, strategic and very, very smart. I never tire of hearing inspirational stories of resilience, particularly those of resilient women. And this last week was no exception. As a guest of EY, I attended the inaugural Resilient Women 2016 conference in Sydney, Australia, last Friday. The conference appealed to me as I have recently written a book about my own personal resilience—Designer Law School: Legal lessons for design entrepreneurs. The conference was an entire day dedicated to hearing from inspirational female leaders. The Master of Ceremonies was Jane Caro and she was brilliant at guiding us through a jam-packed day. Jane also gave personal insights about her life, sharing some of the many inspiring stories we would hear throughout the day. When the day kicked off with a ‘Welcome to Country’ by Yvonne Weldon and the ‘Official Welcome’ by Lynn Kraus, Managing Partner, Oceania Markets and Managing Partner, EY Sydney, we all knew we were in for a special day. And special it was! From ‘The Financial Fairytale’ presented by Melissa Browne, Entrepreneur, Author, Accountant and 100 Women of Influence; to ‘Resilient Women Across the Globe’ by Professor Elaine Kempson, Director, Personal Finance Research Centre, University of Bristol, UK; and the post-lunch panel ‘Sharing the Stories of Resilient Women’ with Christine Nixon APM interviewing Beth Mathison, Telstra Business Women of the Year 2105; and Basia Emanual, a No Interest Loan Scheme client—the day lived up to my expectations. Real stories, real problems, real resilience, real women! Inspiring but more importantly for me, motivating! The final event of the day–a panel entitled ‘The Money Story’–was one of my favourites, featuring three of the most inspiring and authentic women I’ve ever had the privilege to hear from. Amanda Young, CEO, First Nations Foundation; Tanya Hosch, Head of Diversity and Inclusion, AFL; and Shelley Cable, Finance Analyst, Shell + Project Director, 100 Days of Deadly Mob, told their personal stories about their lives and how they succeed in a world that is far from easy. But at the end of the day, it is being part of and giving back to their community that continues to drive these amazing women. It’s not the individual but the community successes they celebrate! If you need help, ask for it! Just keep going, no matter what is thrown at you! Enjoy the journey because you learn more about yourself during the hard times. Innovators and entrepreneurs starting small businesses need access to an ecosystem of support services. But, to get through the ‘start-up’ phase of a new entity we sometimes only have budget to help/hire ourselves. Designer Law School will allow you to get your head around the basics of legal frameworks whilst starting a company. With sage advice, and a great sense of humour, there are many lessons to be learned and experiences to be shared. I devoured this book with relish, and would recommend to any new small business owner. 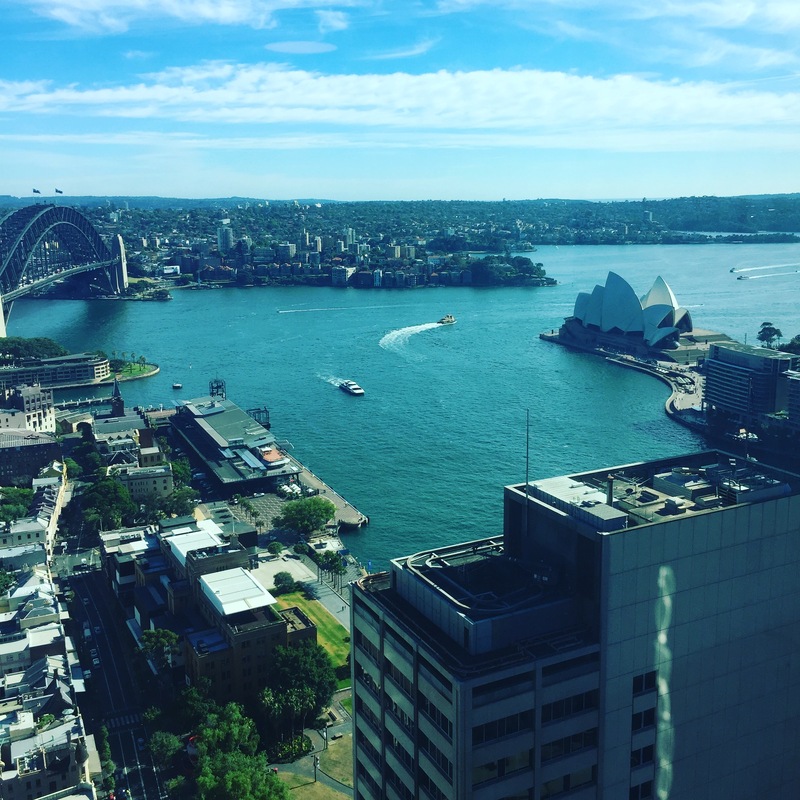 Photo credit: View from EY Sydney offices—Resilient Women 2016 conference x Christine Moody. Designers—and I count myself as one!—are great at what they do, but not so great at ‘the other stuff’. We are naturally curious and excited about interesting projects and opportunities—sometimes at the risk of the practical detail. The personal crises we sometimes find ourselves in are often a result of rushing ahead without considering the long-term consequences. We get swept up in the excitement of a project and ‘lose our heads’. So, in my book Designer Law School: Legal lessons for design entrepreneurs, I set out to make designers aware of the ‘other stuff’. I wanted to give them the opportunity to take a breath and understand the possible legal implications of what they do. As a designer, my natural inclination was to lead with my heart and not my head. I was often very emotional when it came to decision-making. In the book, I share my personal experiences because I ‘get it’. I ‘get’ designers and the world in which they live. I ‘get’ that designers don’t make any distinction between work and life. To us, work is an integral part of life! We love what we do and we spend our lives doing it. In fact, I’m sure that other professionals may be secretly jealous: we get to do something we love every day of our lives! First, I have learned that you need to seek professional help from other parties, including your colleagues, your lawyers, and your accountants. You need to surround yourself with trustworthy advisors and mentors who will help bring you back to earth when your heart is telling you to simply sign a document and get the deal done so that you can start work. But this is not enough. You also have to understand what your advisors are saying and consider their advice in both short and long-term scenarios. I want you to understand when you need to seek professional legal advice, how to find it and how to brief a lawyer to get the best outcome. As the old adage goes, ‘If it sounds too good to be true…’. Never be afraid or in too much of a rush to get a second opinion. If you are—and I have been guilty of this—bad decision-making can result. In particular, I want you to understand when you need to seek professional legal advice, how to find it, and how to brief a lawyer to get the best outcome. 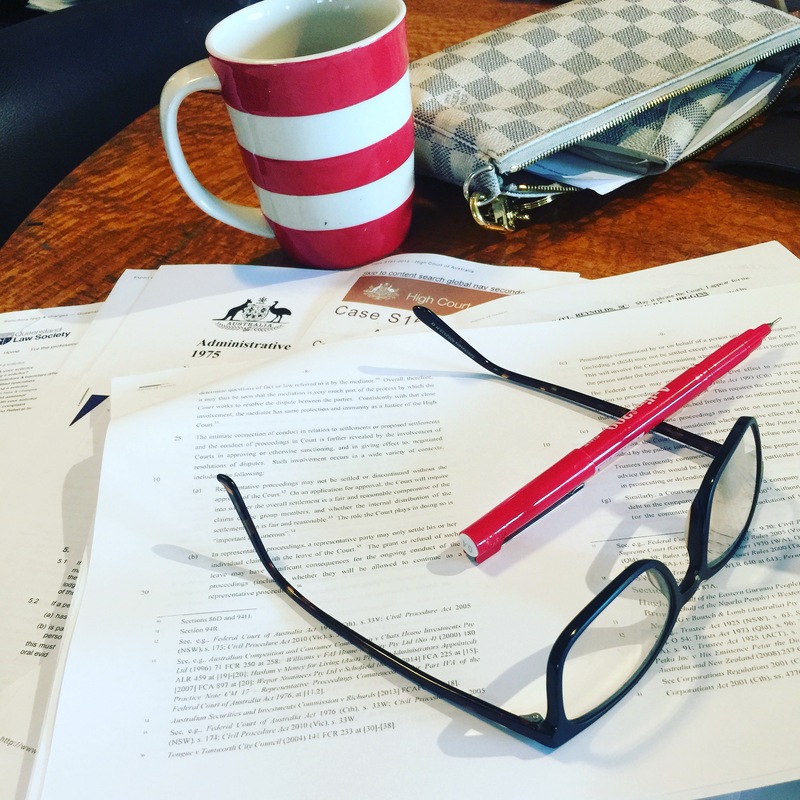 During the writing of my book, I enrolled in Applied Australian Law and have really enjoyed understanding the legal terminology and how it fits into the Australian legal system. The idea is not to become a lawyer, but to be able to speak to designers in a language they understand and assist them to navigate the business world. Get over yourself and buy this book! Christine Moody provides sage advice for any design business looking to engage lawyers, she has built a bridge over the communication divide to enable your experience with legal practitioners to be the best it possibly can be. Photo credit: Study Desk Still Life x Christine Moody 2016. Empathise—empathy is the centrepiece of a human-centred design process. Define—the mode of the design process is all about bringing clarity and focus to the design space. Ideate—the mode of the design process in which you concentrate on idea generation. Prototype—the mode is the iterative generation of artifacts intended to answer questions that get you closer to your final solution. Test—the mode is when you solicit feedback, about the prototypes you have created, from your users and have another opportunity to gain empathy for the people you are designing for. I attended d.school bootcamp in 2011 as part of my Masters Degree and have continued to use the process in every part of my business and personal life. I have used this method on everything from creating new products and services for retail clients (i.e., developing Poppy Cakes’ Party in a Box), to working through my personal legal challenges, to creating a stronger and more refined, authentic personal brand (i.e., writing the first book in what will be a series of books, Designer Law School: Legal lessons for design entrepreneurs). Whenever I get stuck on an issue, I grab my Moleskine notepad and start writing, drawing, and visually problem-solve. I also make sure that I am aware of what is happening outside my design world. I do this by reading constantly—books as well as online journals. I also make sure I hit the streets to see what is happening. For example, I find out what new retail stores are opening (both Australian and international brands) and go and visit new stores to get a feel for the brand. I also overlay these field trips with reviewing the brand’s online stores and social media. Design thinking is action and taking action is what you have to do to truly become innovative. All entrepreneurs have a list of things they wish they had known before starting a business. But what if you could learn them all in one place, sparing yourself endless hassle and confusion? This book lays out the steps you need to take to protect your interests and create a thriving, lucrative design practice. *Christine Moody is one of Australia’s leading brand strategists and the founder brand management consultancy, Brand Audits. With more than 30 years’ professional experience, Christine has helped a diverse client base of local and international brands, including Gold Coast City Council, Hilton Hotels, and Wrigleys USA, to develop, protect and achieve brand differentiation. 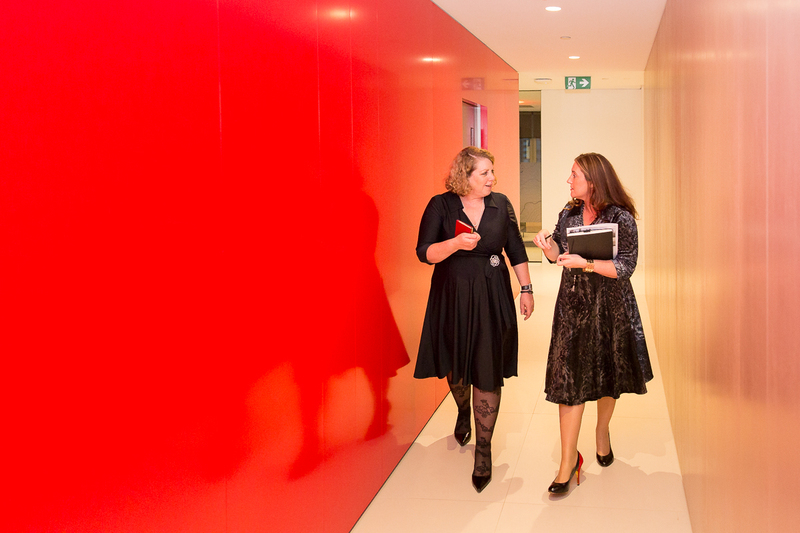 Her particular interest is personal brand audits to assist executives realise their full potential. She is also an author and a law student. This book is a cautionary tale for all designers, entrepreneurs, managers, and educators. With the wit and wisdom born of long experience (and some pretty hard knocks along the way), Christine encourages her fellow designers (and all designers, creatives, and entrepreneurs, for that matter) to respect and understand the legal issues that affect their daily business. In a series of practical ‘lessons’ full of ‘good-to-know’ tips and topics, the book alerts others to the risks of ‘doing business’ without a keen eye on the possible legal pitfalls along the way. At the same time, Christine engages the reader through her obvious care and concern for their challenges and encases her ‘lessons’ in the motivational framework of her personal struggle for justice and survival. I’ve been lucky enough to have an amazing career. I’ve worked across a huge cross-section of industry sectors with a diverse client base. My experience is backed up with formal post-graduate university studies (from design, to business, to advertising, to research, to applied law). Where some may see my experience and studies as too diverse, the pivots have been strategic and deliberate. Each one helps to keep me ahead of the pack and provides a realisation that continuous professional development is crucial to stay relevant—in business and in life! Constant pivoting though can mean that you’re working in an unknown industry. You become the recipient of comments like, “You’re experience and work is amazing, but you don’t have experience in our industry”. You’re work experience is amazing, but you don’t have experience in our industry. Work experience in a particular industry isn’t just a graduate issue. It’s an ongoing issue for many of us throughout our working life. When creating your personal brand, you need to be able to convince your potential client, employer et al, that your skills are transferable to any industry. It will never be an ‘exact match’ but by demonstrating how you moved from one particular sector to another and how you overcame the challenges goes a long way to securing the project or the job. You can even turn a lack of experience in a specific industry to your advantage. When I was developing ‘The Wrap Dress’ concept, I didn’t have a fashion background, but I was hungry to learn. 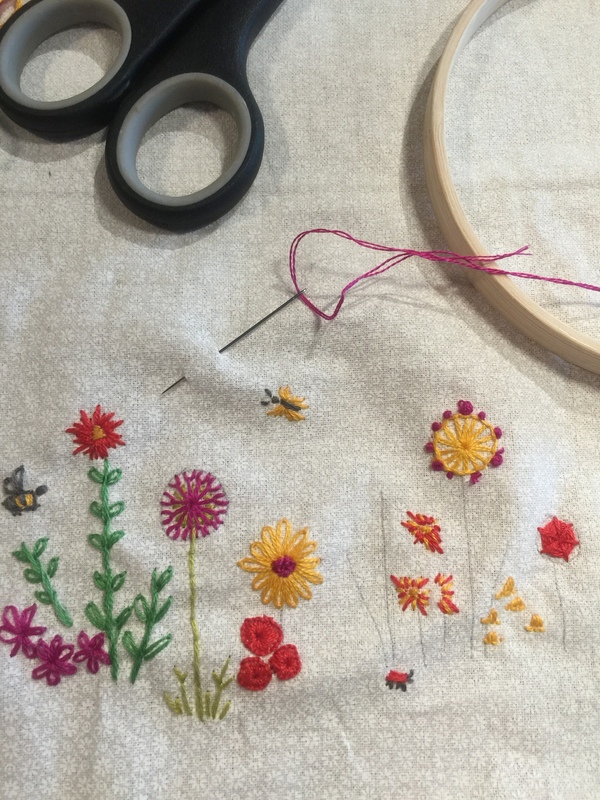 I approached the product development by asking lots of questions and listening—to everyone from manufacturers, to pattern makers, to fabric suppliers. I didn’t have any pre-conceived ideas or constraints around the fashion/garment industry, so I had the freedom of moving around and working out what was and wasn’t possible. So when I’m approached by potential employees or suppliers, I seek to find out firstly their attitude and secondly, thirst for learning. I don’t expect anyone to know my business exactly, but I want someone who is willing to learn and is happy to do so. Attitude trumps experience every time because you cannot teach attitude! If you need to prove a point and you are up against “but you don’t have any experience”, ask for a small project to prove yourself. Use the project to demonstrate your unique value and your problem-solving ability. Ask for work experience (no matter what your age) as nothing beats on-the-job experience to showcase your skills (think ‘The Intern’ movie). This is a book you should read before starting any new business. Photo credit: Matt Palmer—Photographer at BDO Brisbane offices. While interviewing lawyers for my book Designer Law School. Legal lessons for design entrepreneurs, I discovered that the best legal outcomes most often came down to four things. It’s better to see a lawyer regarding a legal matter sooner rather than later. Carefully read the documents the lawyer has prepared for you—even they can make mistake. The better organised you are, the lower your legal fees will be. There is no such thing as a ‘stupid question’; the more questions you ask, the better the outcome. Now while these may seem like ‘common sense’, the lawyers I interviewed all experienced the same issues over again. They often felt they could get a better outcome if they were involved in a matter earlier; They were concerned by the number of times it appeared a client hadn’t read and understood a document; and they all expressed that keeping materials and documents in a logical filing system, would save time and therefore money. As we get busier, and legal stuff becomes more complicated, we need to take an active interest in our legal matters. We need to be a great lawyer’s client. While the lawyer understands the law better than you, only you know what you want better than the lawyer. Here is the checklist from the end of ‘Lesson 3’ on how to be a great client. Maintain currency in legal matters and knowledge as they apply to your business. What a practical book for people in business or wanting to be in business. You can’t beat practical experience and to be able to frame your personal learnings through authoring this book is a godsend to all who will have the privilege to read it. For more information: chris.moody@brandaudits.com.au or +61 419 888 468. ……………………………………………. 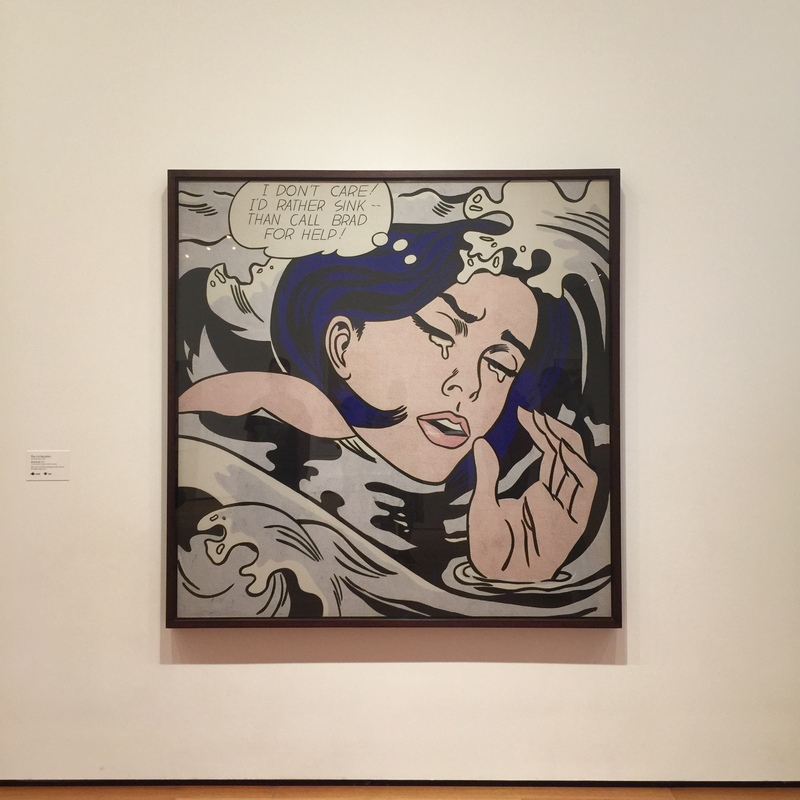 Photo credit: Roy Lichtenstein ‘Drowning Girl’ 1963 (Chris Moody @ MOMA NYC 2015). While the inspiration and motivation for writing Designer Law School. Legal lessons for design entrepreneurs came from my personal story, it didn’t take me long to realise I wasn’t alone. It turns out that many other designers and entrepreneurs have had or are having the same issues with understanding the law. It was during the research phase of my book—the interviews with lawyers—that a pattern started to emerge. The emerging data indicated that time and again most people (including designers and entrepreneurs) didn’t read their legal documents. They were anxious to sign the document and handed all responsibility over to the lawyer. But when the lawyers asked the clients simple questions about the document detail, it was clear that most didn’t understand what they were about to sign. In “Lesson 4: Respect and Understand Your Contracts” and “Lesson 5: Respect and Deal with the Nitty Gritty”, I outline how to read and ‘mark up’ a document so you are prepared to meet with your lawyer. If you don’t understand the terms used in the document, look each of them up, and understand them in the context of the document. Another important point is to remember what you want the document to do—what are you trying to achieve? For example, if it’s an employment contract, check that it includes all the items discussed with your employer. It’s important to get all the details right no matter what time pressures you’re under and know what you’re signing. 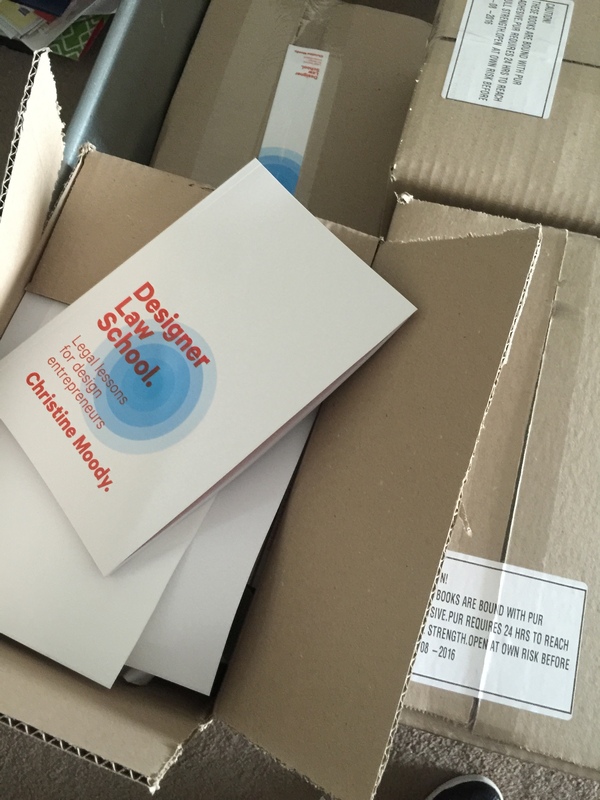 A couple of weeks ago I launched my book, Designer Law School. Legal lessons for design entrepreneurs. It’s a book I started ‘on the side’ while completing my QUT Masters Thesis. I had set out to help designers and entrepreneurs to better understand the law and what lawyers do. For the book, I interviewed lawyers face-to-face, asking each of them the same 10 questions, such as, “How do you find the right lawyer?” and “When do designers need to call a lawyer?”. The information gleaned from these interviews formed an important part of the book. So I was elated when the guests attending the book launch, many of whom were lawyers, expressed that my book would really help their clients. What really struck me though is that the book—or more accurately the process of researching the book—revealed other potential benefits and opportunities for law firms not just their clients. It revealed real opportunities for law firms to be innovative and gain a competitive edge, in an age when the practice of law is rapidly changing. These opportunities start with ‘design thinking’. You see, during the research and interview process, I spent a lot of time in law firm lobbies. While waiting for each interviewee, I couldn’t help but look at each law firm from a design thinking perspective. I took the time to observe and note how I was greeted, what the background music was and what sort of design was utilised in the lobby space. I was adopting design thinking methodology and honing in on the ‘client experience’. To understand design thinking methodology is to understand things from your client’s perspective. This understanding leads to revealing latent needs, as well as potential products and services, and different ways to deliver legal services. It leads to innovation. Instead of sitting in the lobby checking my emails and social media posts, I sit and observe—no matter where I am. Whether it’s an airport, hotel, or sidewalk cafe, these spaces are perfect for observing trends and how people behave ‘in the wild’. 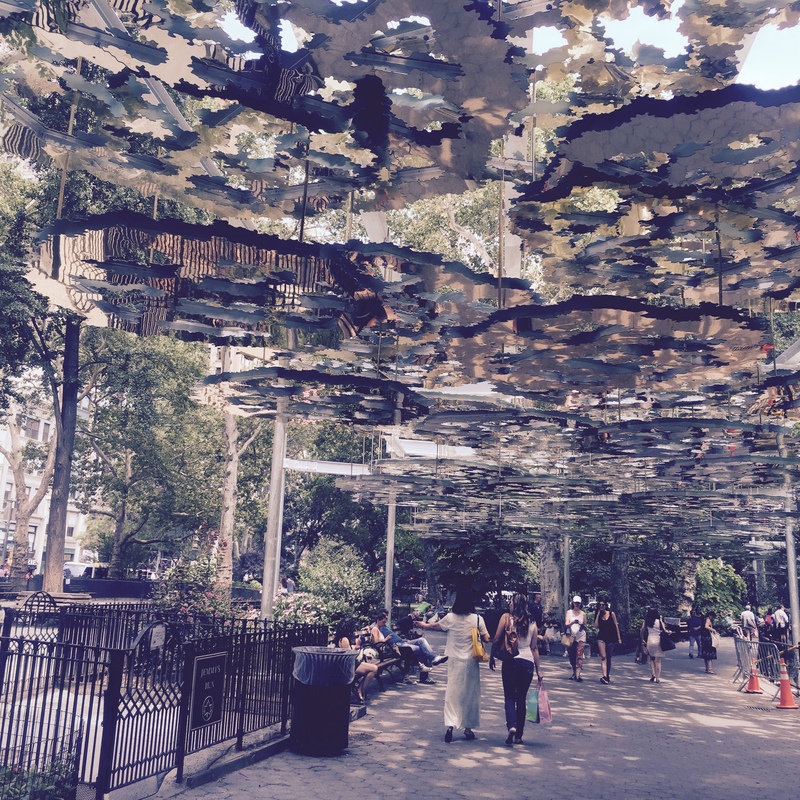 If you want to innovate, get out onto the streets, visit art galleries, sit in cafes, and just observe. Lawyers can do this by visiting clients’ premises and observing how they work and how they do things. I mean not just asking questions but keeping your eyes open to what is happening around you. With the disruption of traditional law firms happening already, many lawyers are struggling to know what to do and how to innovate to stay relevant in today’s marketplace. 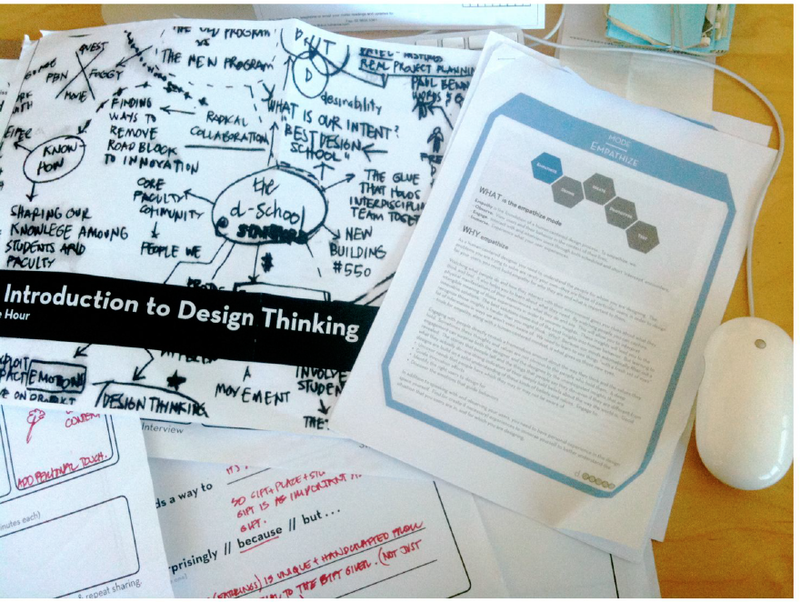 Employing design thinking methodologies in your organisation enables you to see opportunities that you never noticed or identified previously. It not only gives structure to innovation but also ensures that the organisation is sustainable in the future. It really can be as simple as having your eyes and ears wide open. You can unsubscribe at any time by filling in the deatils above and lodging the form. Why NYC is my inspiration?